In the final episode of Series 4, Funke Abimbola MBE, prominent legal diversity champion and campaigner and recently appointed Director of Operations, Conflict Resolution at Mishcon de Reya LLP, and Alison Choy, chemistry and biochemistry academic and Head of Machine Learning at Starling Bank, explain their career journeys. They discuss the high levels of female attrition between junior and senior levels in the legal profession, the potential for attracting talent from outside the more traditional financial services hiring profile, the importance of intersectionality and working with LGBT networks, why visible representation and relatable role models matter and the value of enabling young people to experience workplace culture as early as possible. Alicia Millar, Director of Learning and Development (EMEA) at Reed Smith, NED of MyGWork and co-chair of the LGBT chapter of The Network of Networks (TNON), and Dan Ricard, Transformation Lead in PwC's UK Sales & Marketing function and founder and co-chair of The Network of Networks (TNON), discuss inclusive leadership, diversity of thought and opinion, why networks are no longer exclusively for large organisations and setting appropriate KPIs for networks. They also discuss how organisations must truly understand and value the very core of their people, explore intersectionality (for example ethnic minority LGBT+ employees) and collaboration between other segments and networks. They also explore the use of the term ‘allies’ and highlight the importance of creating 'callout’ cultures. This episode was recorded live at the Women in Payments UK 2019 Symposium in London on 28th March 2019. Our host Julia Streets was joined by Rashmi Prabhakar, Chief of Staff for Global Services at Finastra, Jacqueline Keogh, Global Head Payments GTM at Western Union Business Solutions, and Smriti Vicari, Head of FinTech at Visa. During this panel, the diversity and inclusion discussion explores the commercial impact of diversity in FinTech and financial services. Winning the equality debate requires support for, alignment with and engagement from representatives from many other constituents and groups. Madison Marriage, the Financial Times journalist who went under cover at the President's Club & Wincie Wong, Head of Innovation for Supply Chain Services at RBS, reflect on the global story and discuss to what extent the world has changed. Other topics of discussion include gender pay gap reporting, the importance of exit interview data, demystifying the whistleblowing and escalation process, embedding tech lessons into school curricula, how diverse teams and inclusive leaders drive innovation, and why D&I is more important than ever in times of economic uncertainty. Timed for release during LGBT History Month, we welcome Matt Cameron, Founder of The Ocean Partnership and LGBT Great, the global investment management industry network, and Hephzi Pemberton, Angel Investor and Founder & CEO of the Equality Group, seeking to widen the range of exceptional candidates. In this episode we discuss promoting LGBT+ inclusion within the global investment industry, increasing diversity in leadership positions overall, why we need ethnic minority 30% Club-style targets, how to attract diverse talent from other industries and sources, the multiplier effect of investing in women and how some D&I categorisation can present potential barriers to inclusivity. This episode was recorded live at the Women in Payments USA 2019 Symposium in Washington on 5th February 2019. Our host Julia Streets was joined by Jan Estep, President and CEO of NACHA, Linda Quaranto, Consulting Managing Director of Deloitte, and Randall Tucker, Chief Inclusion Officer of Mastercard. Amali de Alwis, CEO of Code First: Girls, discusses providing free coding courses to support new waves of female tech talent, the need for greater diversity in tech, retaining a diverse workforce, newly emerging roles and specialisms, bringing together different generations of talent, work life balance, and creating the leaders of the future. In the final episode of Series Three, Mariam Jimoh, Founder & Director of Women in the City Afro-Caribbean Network (WCAN), and Alex Odwell, Managing Director of Referment, discuss why being a D&I pioneer gives firms a competitive advantage, eliminating recruiters’ subconscious bias, creative ways to test job candidates, intersectionality, the shortcomings of a ‘one size fits all’ approach, encouraging diverse talent to apply for roles, and the power of including networks in the recruitment process. Tiina Likki, Principal Advisor at The Behavioural Insights Team, and Peter Randall, President of SETL, discuss D&I through the lens of behavioural science, why some D&I initiatives aren’t generating results, why presenteeism is overrated, the importance of the returnee talent pool, using data to drive organisational change, ways to evaluate the impact of diversity, and the importance of pacing yourself, understanding own limitations and learning from history. Abadesi Osunsade, founder of Hustle Crew and NonTechTech, and Pippa Dale, Head of Fixed Income Roadshows at BNP Paribas, discuss ways to make tech more inclusive, the importance of focusing on intersectionality, the power of digital networks, the value of the OUTDirectory, holding companies accountable to greater social values, and expanding gender pay gap reporting across the board. Paul Cleal, Vice Chair of Kingston University and board member and/or advisor to The Premier League, National Citizen Service Trust and Sainsbury’s Foundation and James De Sausmarez, Head of Investment Trusts at Janus Henderson Investors, discuss changing the many false perceptions of working in the City. How can organisations facilitate the advancement of BAME employees and use their recruitment data to attract more diverse talent? Why the ‘safe’ choice isn’t always best and the importance of role models and mentors. How do changing incentives drive greater D&I and increase focus on helping middle management layers to change, and what benefit do placements and internships offer to shift more entrenched mindsets? Tracey Groves, CEO and Founder of Intelligent Ethics, and Sylvia Carrasco, Founder and CEO of Goldex Technologies, discuss the importance of collective accountability in organisations, creating an ethical business in an unregulated market, inclusive recruitment and advertising, how AI systems are being designed, developed, implemented, measured and assessed to drive the right outcomes, the importance of ensuring that human biases aren’t embedded into AI, and the role of governments and schools in educating citizens and future generations about these new, powerful technologies. Adam Conn, Head of Trading at Baillie Gifford, and Mark Fryer, Director and board member of ABSTRACT, discuss improving diversity on trading floors, supporting the next generation of senior talent, accelerating the pace of change at board level, creating inclusive organisations, how flexible working can improve employee retention, why firms with rigid recruitment processes may be missing out, and why we must improve perceptions of financial services in order to attract people from outside the industry. This episode was recorded live at Sibos 2018 in Sydney, on Monday 22nd October 2018, as part of The Swift Institute’s 'Bridging the gap between academia and the financial industry' programme. Our host Julia Streets was joined by Rae Cooper, Professor of Gender, Work and Employment Relations, Associate Dean in the University of Sydney Business School and Director of the Women Work and Leadership Research Group at the University of Sydney, Rosemary Stone, Global Head of Human Resources at SWIFT, and Sam Turner, Head of Inclusion & Diversity for the Westpac Group. Topics discussed included the war on talent in financial services, neurodiversity, creating more inclusive teams and leaders, financial incentives around D&I, intersectionality, managing potential backlash, retraining and reskilling in response to industry demand, the importance of changing corporate policies, and how younger generations are paving the way for true equality. Kimberley Cole, Head of Solution Sales at Refinitiv (Formerly Thomson Reuters Financial & Risk), discusses the rising number of women in Governance, Risk and Compliance, the importance of mentorship, collaboration and role models, how regulators themselves are starting to create more diverse teams, the need to attract younger talent, the enormity of the challenge of addressing modern-day slavery and human trafficking, and the steps financial institutions and their clients can take to help combat the problem. Sally Todd, President of City Women Network (CWN), and Chris Newlands, Editor of Financial News, discuss ways to improve the diversity balance in business, The #MeToo Movement, addressing pipeline dynamics, increased media and reader appetite for D&I-related stories, the reluctance of some organisations to implement change, flexible/agile working, how regulations are driving cultural change and increasing D&I in the world of journalism. This episode was recorded live at the Women of the Payments Conference in Toronto on Thursday 27th September, 2018. Our host Julia Streets was joined by: Rania Llewellyn, Executive Vice President of Global Business Payments, Suzan Denoncourt, Managing Director of Ingenico Group Canada, and Tanya van Biesen, Executive Director of Catalyst’s operations in Canada. Topics discussed included: how to make D&I a business imperative, why diversity is not a zero sum game, the existence of conscious biases, the importance of hard metrics and accountability, whether some organisations are overcomplicating the problem, and reasons to be optimistic about the future. Lord Holmes of Richmond MBE, and Claire Harvey MBE, Chief Executive of Diversity Role Models, discuss why inclusion is the bedrock of innovation, the need to seek out and embrace often overlooked disabled talent, the impact of The Fourth Industrial Revolution (4IR), how to incentivise and reward behaviours that drive greater D&I, tackling the awkwardness of disability language, and why greater accessibility will drive employment figures for those with disabilities. 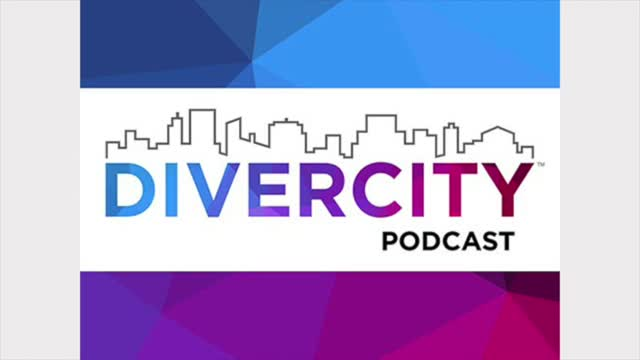 For each episode of DiverCity Podcast we invite recognised leaders and influencers – people who are pioneers in their own right – to talk about areas of transformation and aspects of D&I that need greater focus. Our contributors offer their insight and practical ideas to help organisations and individuals drive change. Tune into our fortnightly podcast.